Go to Shop Online to purchase this lovely book! We have a project in this year's Holiday Crafts! 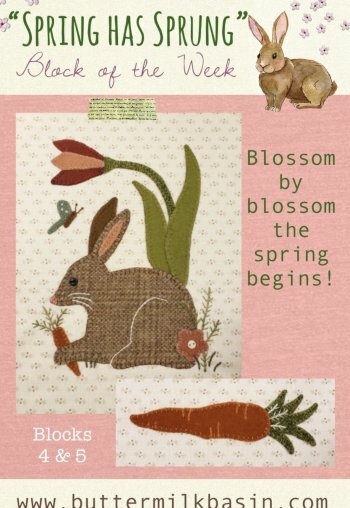 For Sew Along, click "shop online". Enjoy! 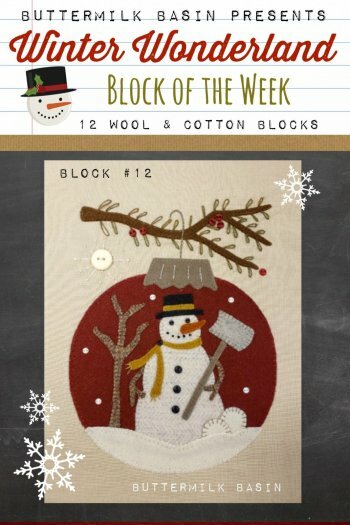 Have you signed up for our "Home for the Holidays" Block of the Week? 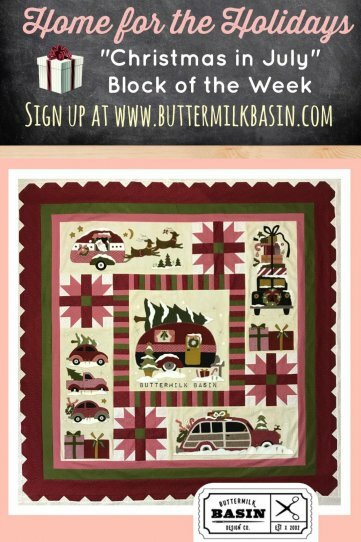 You can subscribe NOW online before we run out of goods (we bought out all the 2 fabrics used in the quilt)! The best part is, if you join now... you can get it stitched up in time to enjoy over the Holiday Season! Go to Shop Online to purchase a kit for this beautiful fall runner, designed by Stacy! We are "Blessed Beyond Measure" to be featured in the October 2017 Issue of American Patchwork & Quilting! We also designed an exclusive project for the issue! Go get your copy today & ENJOY!!!!! 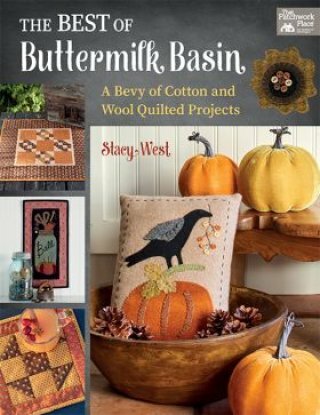 Buttermilk Basin is a gathering place filled with vintage inspired designs in wool & cotton! We offer an amazing selection of patterns & inspiration for all your handwork needs! Be sure to make your first stop our What's New page, where you'll read about our newest arrivals. Have fun shopping and please let us know if we can assist you in any way! Don't forget to check back often to see what's new!! !Happy Stitching! Visit us on Facebook and Instagram to see new products, project ideas and read about our everyday happenings here at the Basin! Please be sure to sign our email list for newsletter mailings announcing new products & happenings at our retail shop Buttermilk Basin. Buttermilk Basin MSL, American Made! 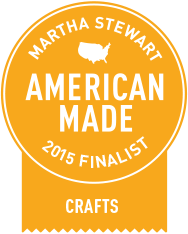 Thank you for all your support in our Martha Stewart Living American Made Journey! We are so proud to reach over 80,000 votes! We are grateful! 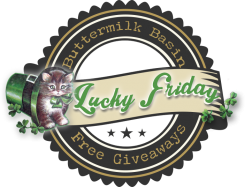 "LUCKY" Friday on our FB Page! Every Friday on our Facebook Page we giveaway patterns! It is our way of saying "Thank You" to our delightful customers! Come, join the fun!! 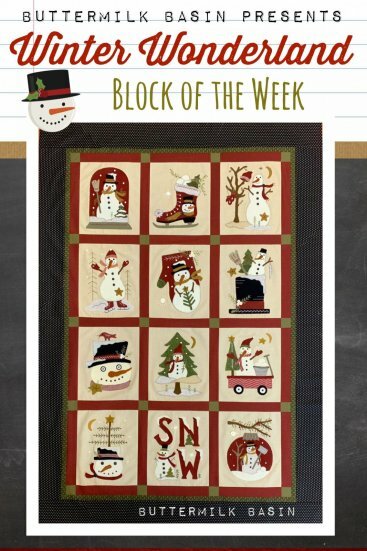 Winter Wonderland Block of the Week Quilt, Block 4 of 2019 Mystery BOM! Pre orders now being taken for the finishing kit for Winter Wonderland! 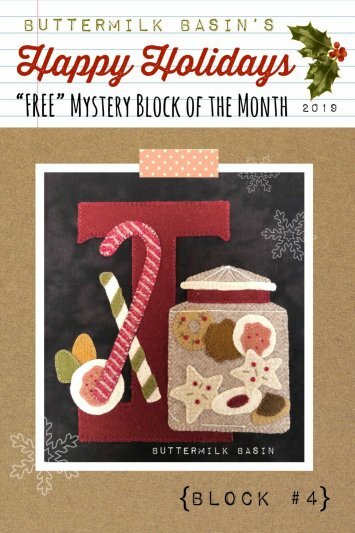 Our NEW 2019 "FREE" Happy Holidays Mystery Block of the month is here! This one will be stunning and is a must for those of you who love Christmastime! 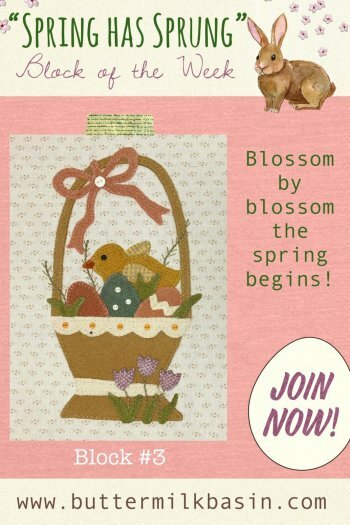 Click "Mystery BOM" tab and print off each month's pattern or order a kit! Block #4 now available. 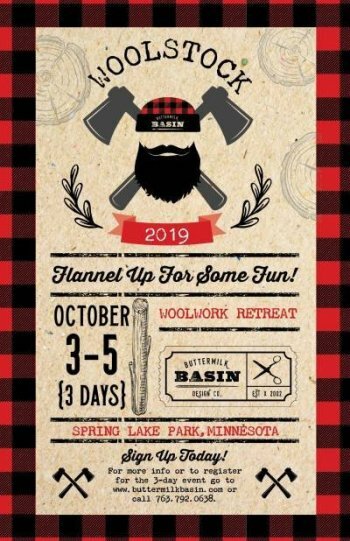 Both of the Woolstocks in 2018 were huge successes!W e would love to have you join us in 2019!